What am I missing? Do they still have watermelon seed spitting contests? Is it a kids' holiday? Or for adults now? Do you light your own fireworks in the street and then drop them safely into the bucket of water that some responsible and still sane mother REQUIRED be brought out before a single fuse was lit? Is there still the age old argument about how old a child really has to be before they can light just one teensy firework? Do you grill something and eat corn on the cob? Is there soda involved? (Do people even use the word soda?) Are there parades? Are they in the morning or at night? What about a dunk tank? One time in my life... there was a dunk tank. Can that be a thing from here on out? Do you sit around the table and tell America what you love about her? Or just write secret admirer notes and drop them in her mailbox? 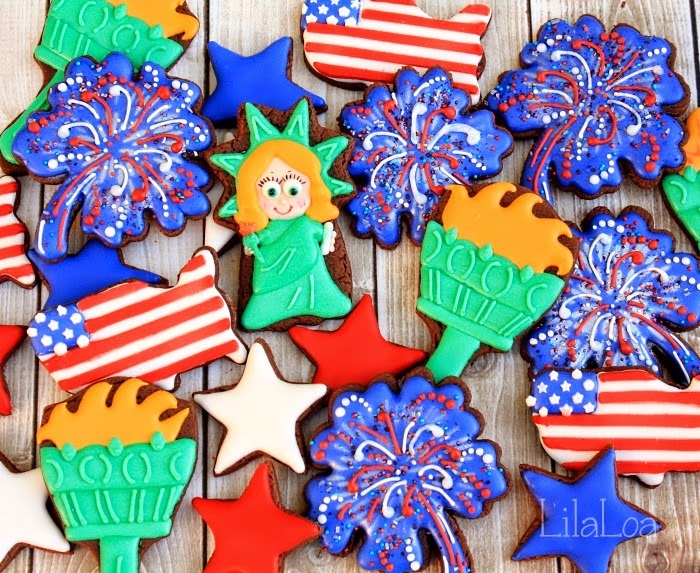 Can you go door-to-door asking for patriotic candy? Do you get to stay up all night? Is there a chance this could turn into a two-day holiday? And... most importantly... will there be cookies? Maybe some Torch of Liberty cookies? 1. I used a mirror cutter for the torch. 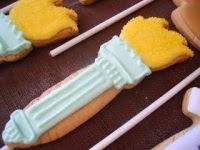 Pipe a straight line across the top of the handle with a #3 tip and 15 second liberty green icing. (Learn how to make it here.) Add another thicker stripe above that with a scalloped top. Let dry for 20 minutes. 2. Fill in the area between the stripes and give the torch a handle with the same icing. Let it dry for an hour. 3. Add a flame with yellow icing. 4. 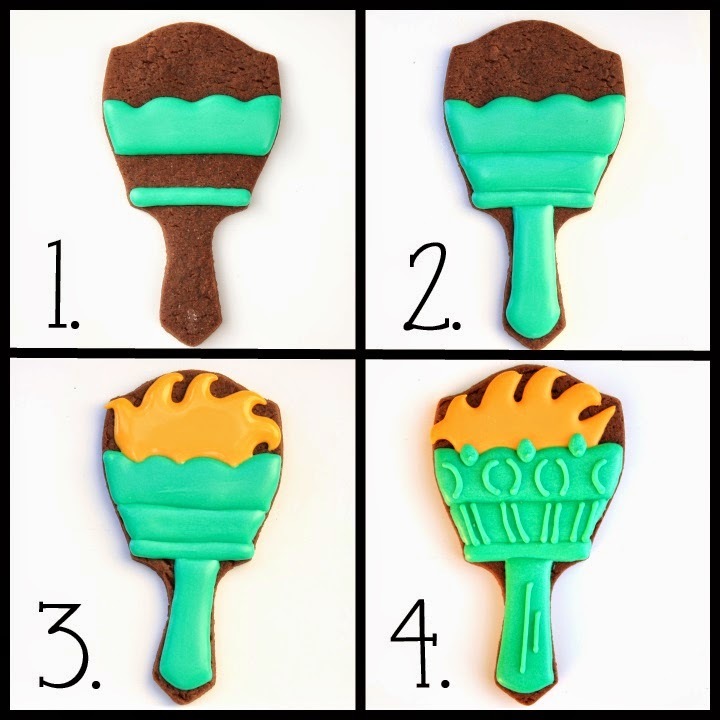 Add the details with thick green icing and a #1.5 tip. 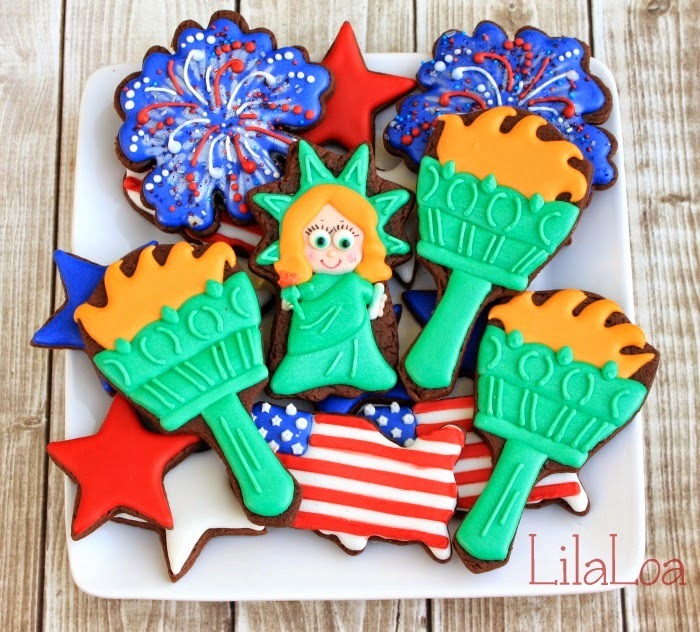 I was going to do a tutorial for Lady Liberty as well... but I hated the cookie after I added her hair...which was step 3 of 7. So I gave up. But if you must know... I used the "Yeay! You're a star!" yellow cutter from the Wilton graduation set to make her. 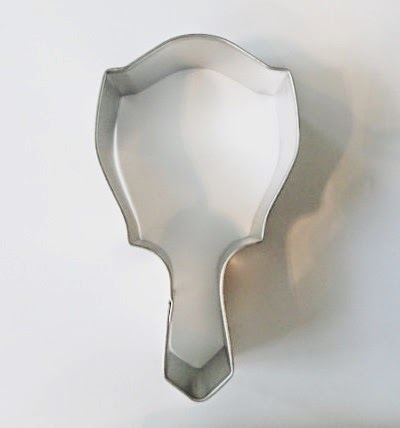 Find the mirror cutter here. And the shooting star cutter here. 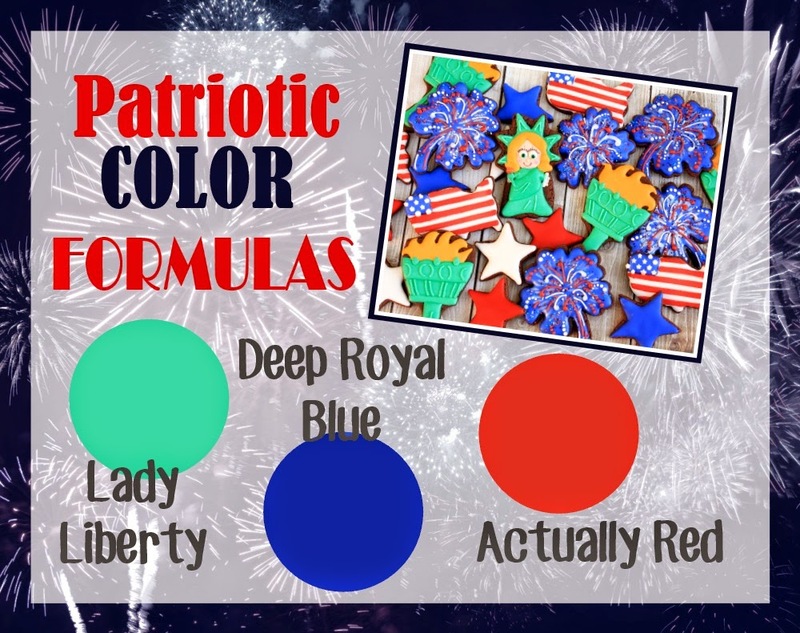 Get all the color formulas here. 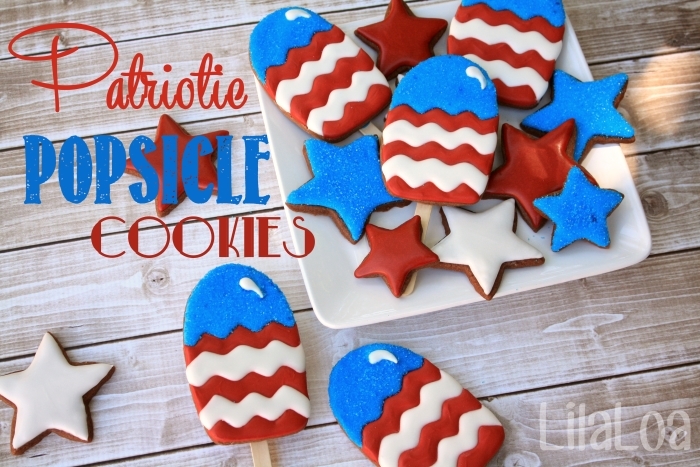 Learn how to make these Patriotic Popsicle Cookies.